We’re in northwest Oregon this time at the mouth of the Columbia River. It’s an example of a coastal margin. 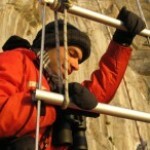 Baptista’s the director of the Center for Coastal Margin Observation and Prediction, or CMOP, a collection of Oregon-based research institutions, universities, local colleges, and community groups working together to both predict and influence the coastal margin of the Columbia. And it’s just the latest installment in a river awash with history. Have a listen. 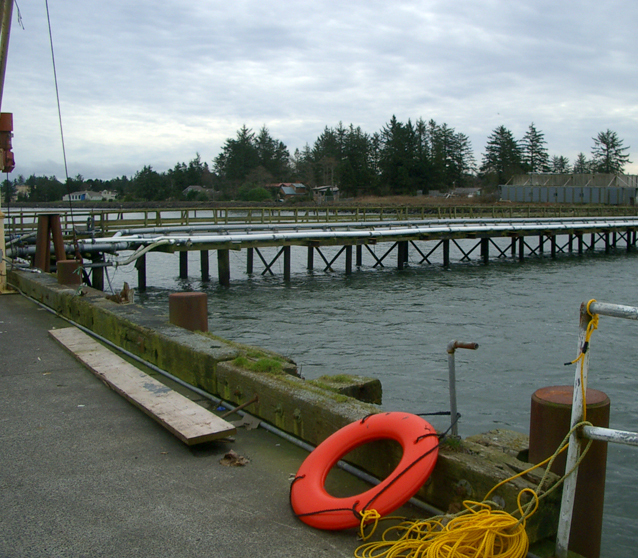 Point Adams fish packing plant lets CMOP hang sensors, tubes and pumps off the end of its pier to collect water samples. 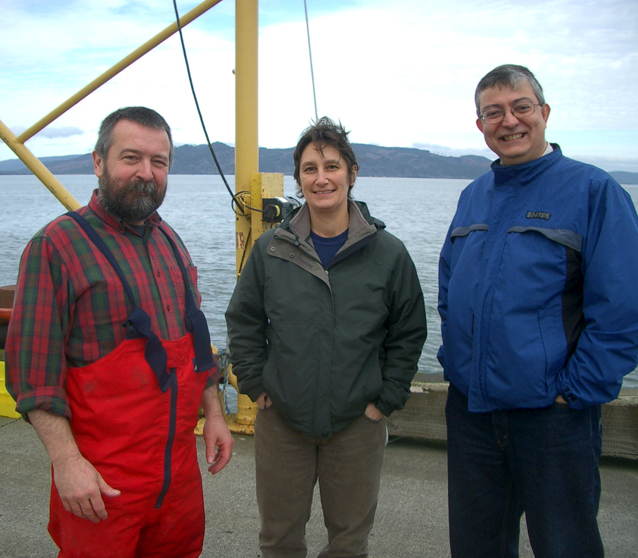 CMOP (Center for Coastal Margin Observation & Prediction) scientists Michael Wilkin, Katie Rathmell, and António Baptista (L to R) stand on a pier at the mouth of the Columbia River in northwest Oregon. 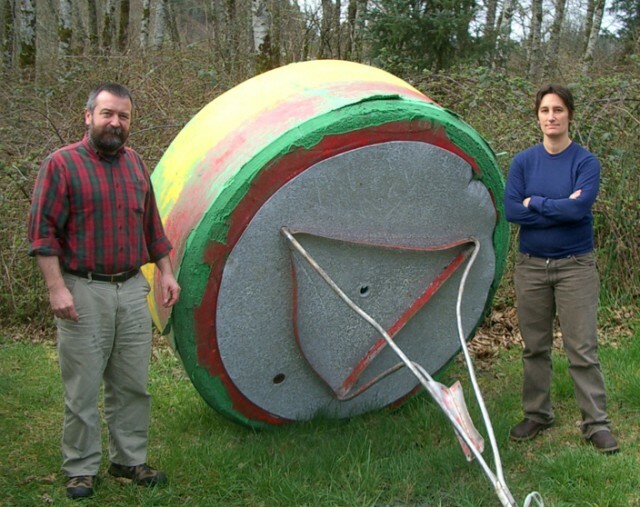 Michael Wilkin and Katie Rathmell stand beside a renegade buoy that broke loose from its tether. António Baptista stands at the mouth of the Columbia River, pointing out a few of its geographical features. What would you measure in the Columbia River to assess how healthy it is to support life? What other sorts of questions would you be interested in answering about the river? Also, what’s your favorite Ocean Gazing podcast episode been? Very interesting to learn about SATURN on Earth.